Do you have any other Suggestions, Comments, or Complaints? Please specify below. We fell upon this restaurant headed to Michigan from Cinnci from our Anniversary weekend. We had the buffet. Everything was wonderful! Pizza, ribs, salad..all of it! I can't wait to go again! Best pizza buffet in the area! Great service from the servers! I have ate there many times! Have great selection of pizza! They have great country music! We love Wild Willy's! The employees are awesome, friendly and very accommodating! We have stopped 2 years in a row now passing through Van Wert after a family reunion and will go back again next year! Yummy pizza, lots of variety and smiling faces! How "Wild Willy's" does "calzone".......awesome! GREAT pizza and the subs are amazing! Best toasted subs in town! Longhorns (breadsticks) are melt-in-your-mouth good! I dont know who the ladies are that work up there in the mornings just before lunch but they make the best darn pizza and longhorns I ever had up there... keep em working.. dont let em go anywhere else!!!! Hands down the best pizza in or around Van Wert Ohio. The only reason i didn't give it a 5 was I've actually had better. When it comes to choosing in Van Wert this is the BEST. You guys have awesome food!! Loved the atmosphere - western. Loved the food -- I am particularly fond of the pizza buffet. It was all great, but the philly steak pizza was fantastic and just thinking of it give me a hankerin" to stop in again. Congratulations on your Small Business of the Year nomination! I am an Aerospace Quality Engineer, and travel a lot. I enjoy stopping along the way to try local food. The Garlic bread with cheese is wonderful, and the Chicken Ranch Pizza is out of this world. I plan this stop every time I go thru Van Wert. 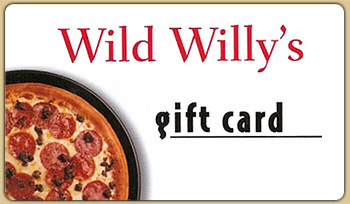 I love Wild Willy's because they have the best pizza, subs, longhorns, salad bar, and the owners are gerat! I eat there almost all the time! I also love the wild west theme and the old time self playing piano. I would recommend this restaurant to anyone.